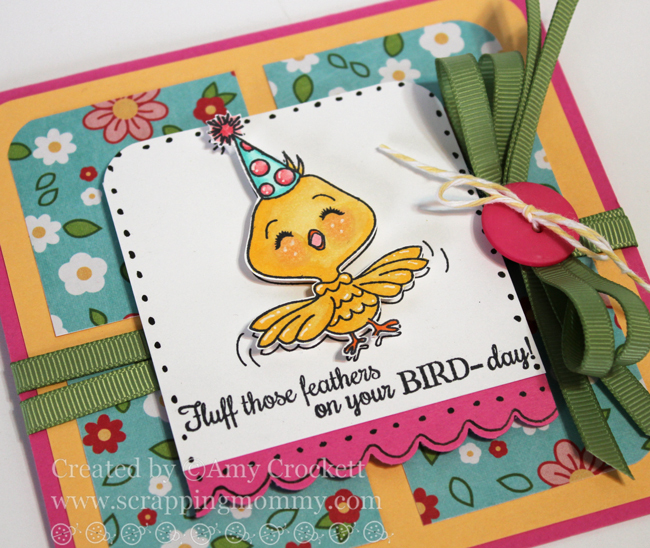 Scrapping Mommy: Fluff Those Feathers....It's Your BIRD-day!! Fluff Those Feathers....It's Your BIRD-day!! Hey friends!! Today there is another fabulous challenge going on over at the Peachy Keen Stamps challenge blog. A fun sketch challenge with a special twist for the Peachy Queen - Kathy, whose birthday is this weekend. Happy Birthday Kathy!! Thanks so much for sharing all of your wonderful talent with us and for letting me be a part of your design team!!. The paper is from Imaginisce and the cardstock, ribbon and scallop punch are all from Stampin' Up! I added a button from my stash along with a little bit of Buttercream twine from The Twinery. 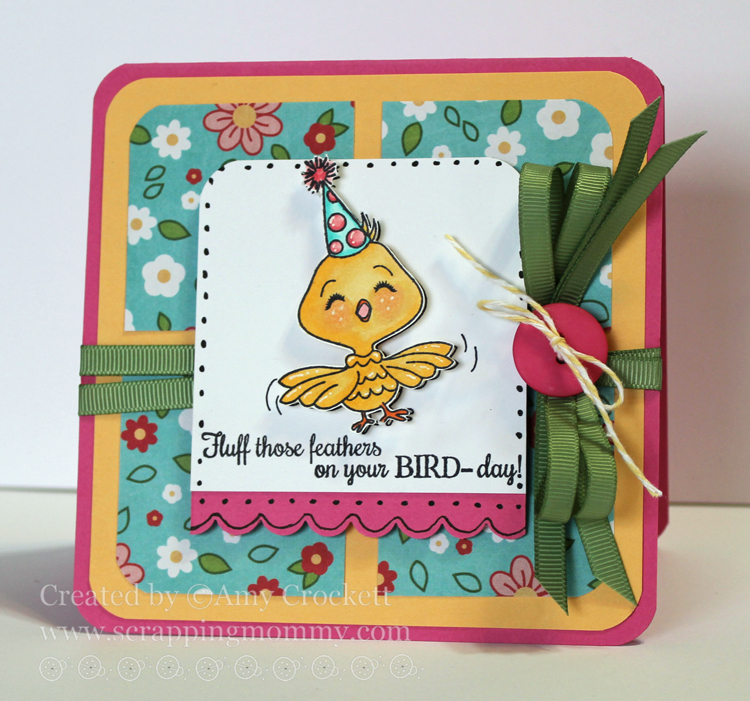 I hope you can join us for this great sketch challenge over at the Peachy Keen Stamps challenge blog and also to wish Kathy a very Happy Birthday!! Great happy colors to wish Kathy a happy bird-day. Oh - this just couldn't be more adorable Amy!!! LOVE it!! !